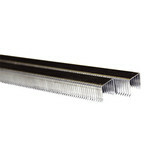 Consumable items for the Clarke CSG 10 staple & nail gun. 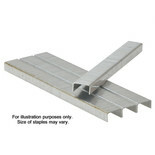 Suitable for a large variety of 2nd fix fixing applications. Fit the Tacwise Duo 50 electric nailer/stapler. 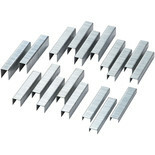 Series 140 staples, specifically designed for use in hammer tackers and other machines. 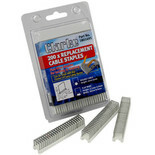 Staples for the Z3-140L and PRO140EL machines. Also compatible with other manufacturers T50 machines. 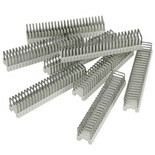 Series 140 staples. 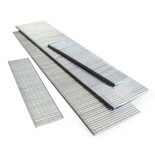 Also compatible with other manufacturers T50 machines.